Comments: Fragrant flowers are followed by large, smooth skinned fruit that ripen in late fall and early winter. The Meyer lemon may lack the quality of the common lemon. Because it is more cold hardy, it is the northern most planted lemon. Problems include leaf miner, white fly and sooty mold. 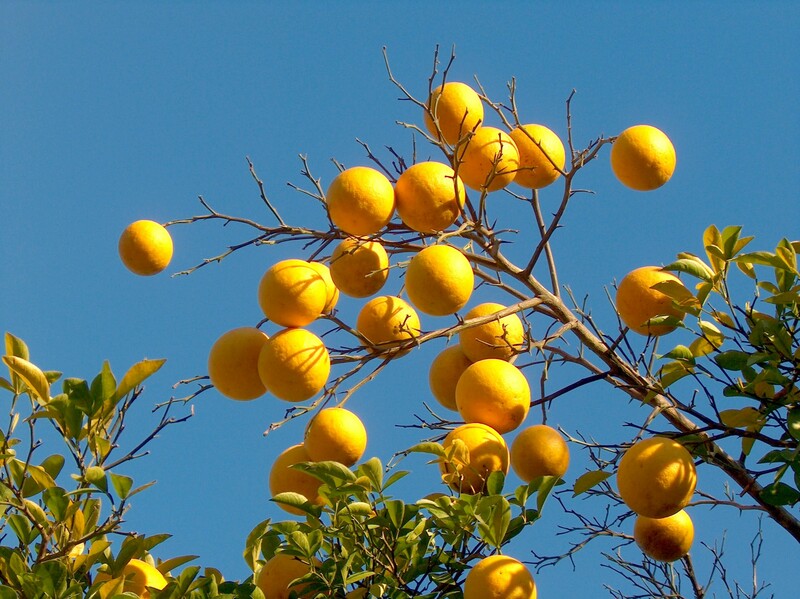 Fertilize citrus in late winter or early spring. In recent years lemon trees have faired quite well because of the mild winters and trees have grown to be of considerable size and mature trees produce bushels of fruit each year.